Wayne Sawchuk's live slideshow explores a range of fascinating and critical in- formation about the Muskwa-Kechika, including stories of the land and its people. 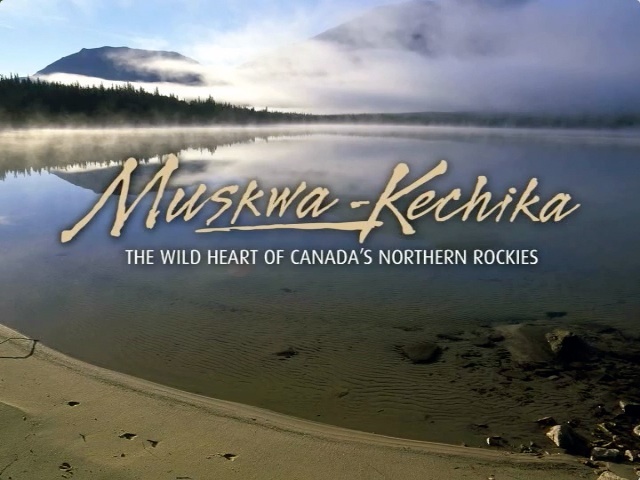 The slideshow is included as a bonus feature on the DVD "Muskwa- Kechika: The Wild Heart of Canada's Northern Rockies". This 25-minute Muskwa-Kechika movie uses state-of-the-art digital technology to animate over one hundred of Wayne Sawchuk's best wilderness photos, and set them to original music by composer Bert Goulet. This inspiring film tells the story of the creation of the Muskwa-Kechika management area, as well as present and future challenges that this fragile area faces. With stirring music composed and performed especially for this production, it captures the beauty, mystery and wonder of this remarkable Rocky Mountain wilderness. The clip above includes the opening five minutes. Order at wsawchuk@pris.ca or 250-261-1513. You can make an online payment for a purchase order through PayPal.